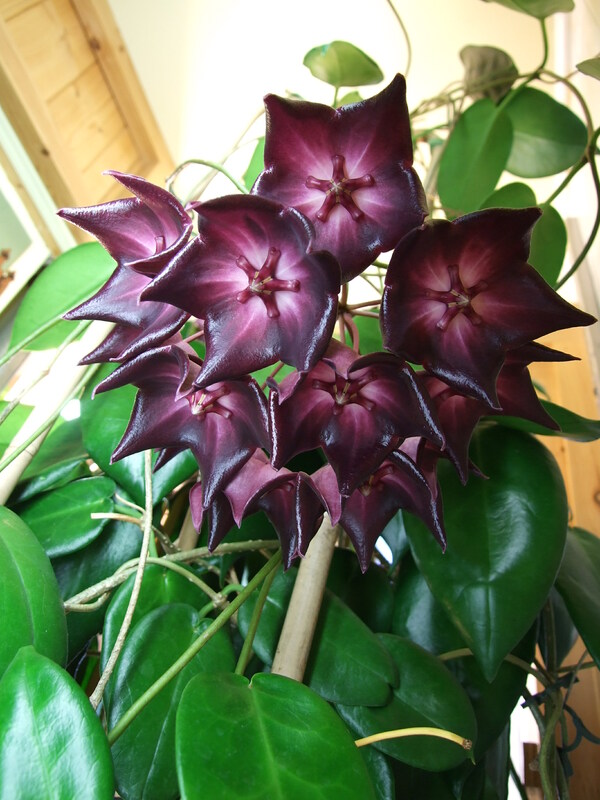 My Hoya macgillivrayi spends the three months of the summer in my very small greenhouse where it puts on prodigious amounts of new growth. 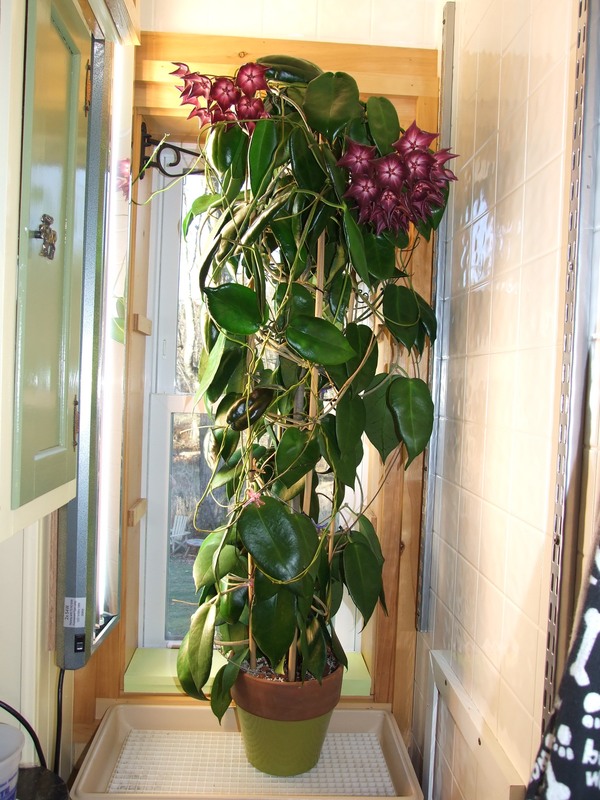 It spends the remaining nine months of the year in my small bathroom in a western exposure window with a two tube HO t-5 fluorescent plant light mounted vertically a couple inches from the plant. I have re-potted it annually, and it now resides in a 10 inch pot with five foot bamboo hoops supporting the vine. It is now so large that it is very difficult to handle. I grow it a little drier in the winter, and in the summer water it every couple of days. Many people have a tough time getting their “Big Mac” to bloom. 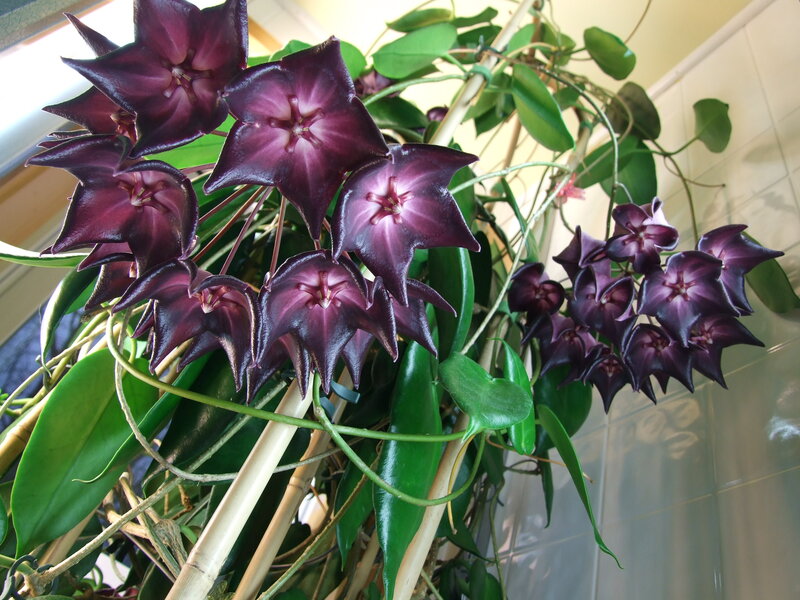 I feel that there are strains of this plant that bloom very easily and some that bloom very hard. I think that if you really want to get this plant to bloom, get a few plants from different suppliers, and you may get lucky. I also think that plant lights are essential to bloom this plant in the North – I recommend setting it for exactly 12 hours of daylight per day.